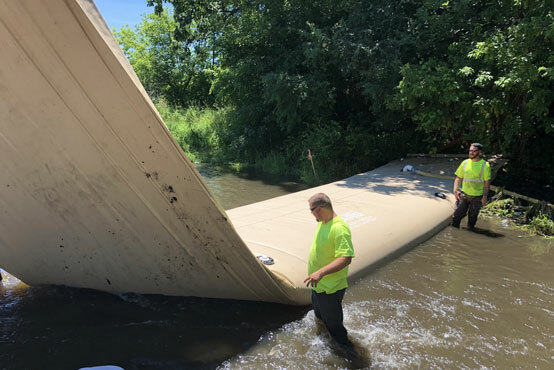 Detroit Tarp has been manufacturing water inflated dams for over 20 years. 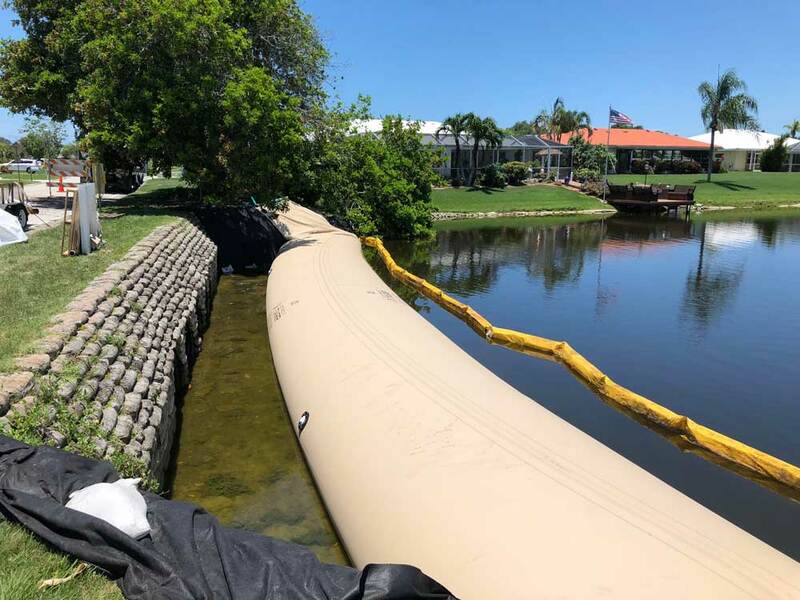 This product is designed to be a portable dam that is perfect for a multitude of different dewatering projects that you may be working on and is a more effective and environmentally safe alternative to sandbags. 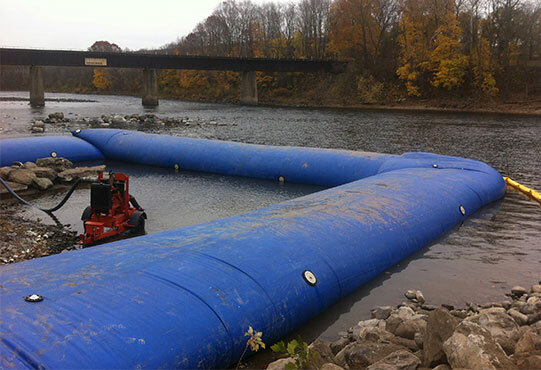 The dams come in multiple sizes to meet all your temporary dam requirements. 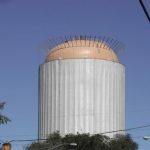 Our water inflated dams are constructed from industrial grade vinyl coated polyester. The fabric is laminated with a base of woven polyester between two layers of flexible polyvinyl chloride. 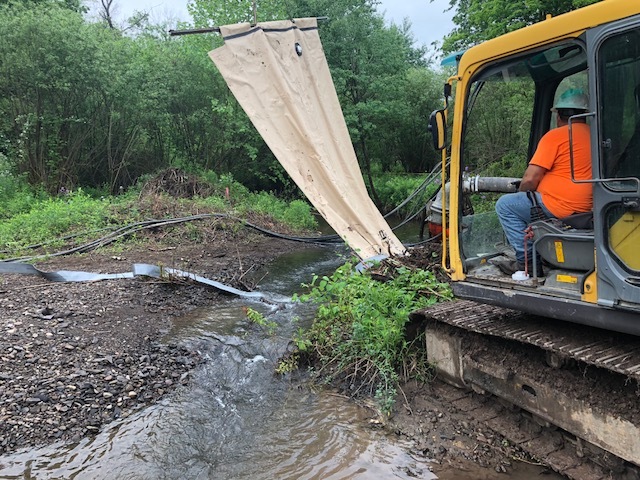 This allows the dams to be permanent faults in the river or streambed. Easily repaired, reused and stored in compact areas and offer ease of handling. 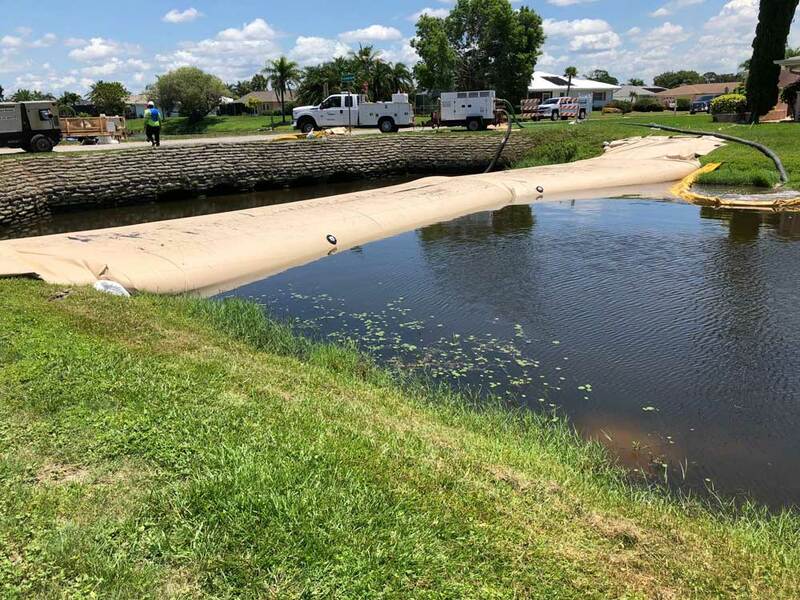 A Water Inflated Dam is a temporary enclosure to divert, dam or dewater an area to create a dry environment for a project to proceed. 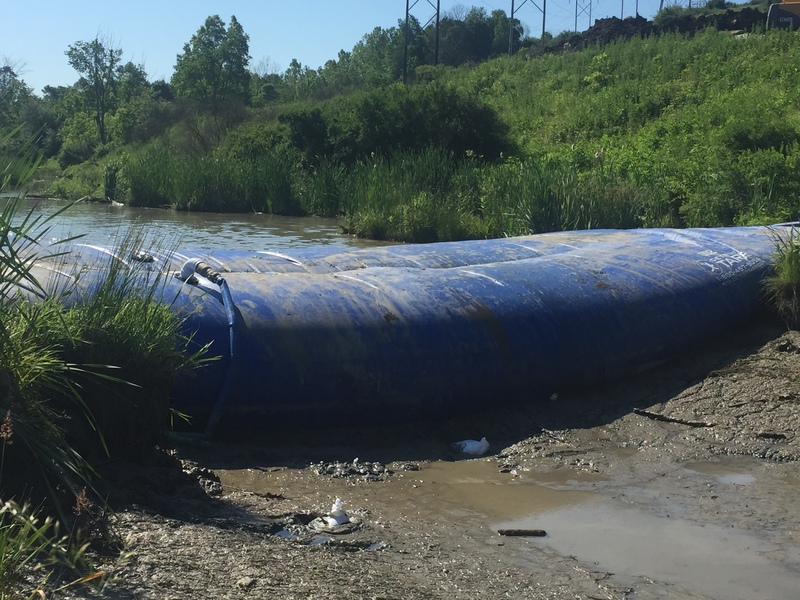 Detroit Tarp’s Water Inflated Dams use onsite water to fill the cofferdam forming a strong self-contained single tube with an inner baffle stabilization system. 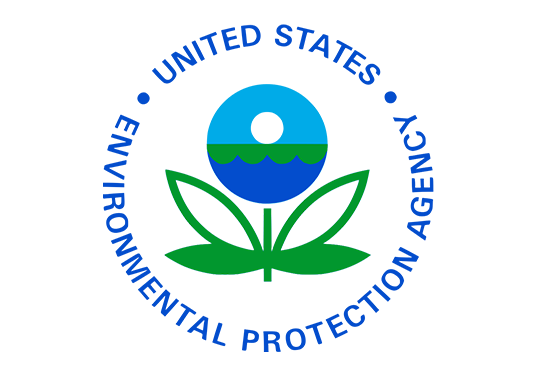 One of the most devastating forms of natural disasters is flooding. 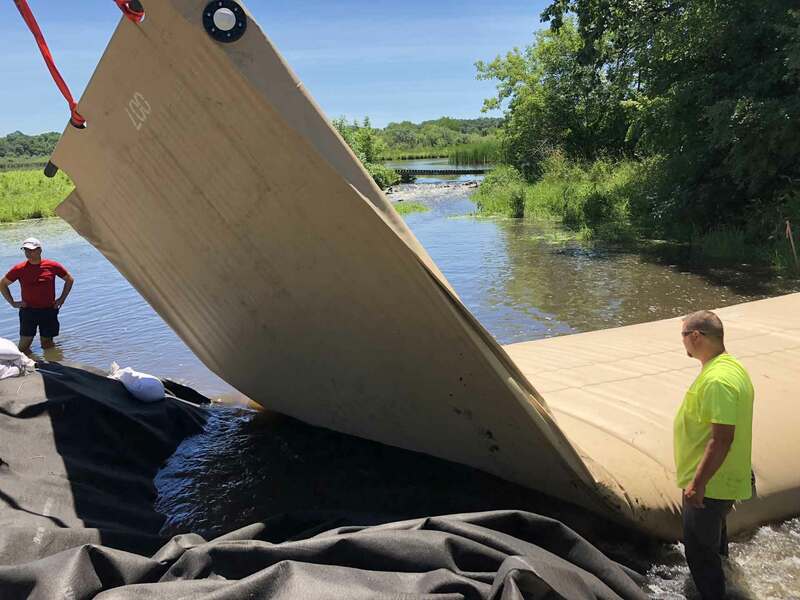 Our water inflated dam system can be used to divert floodwaters away from key infrastructure such as emergency response centers, treatment plants, power plants, substations, and switching stations. 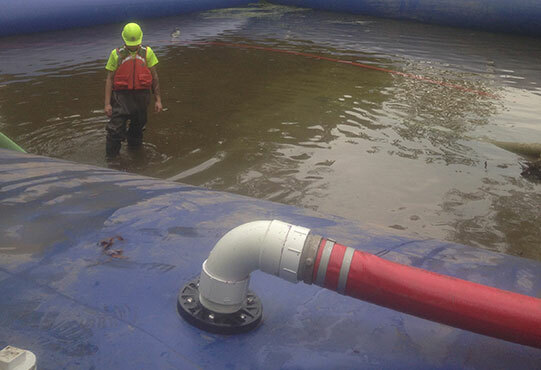 Our water inflated dam can be rapidly deployed in case of any contamination spill. This application will contain the spills until they can be properly handled. The units are compact, easy to store and ready for any emergency response team to have a quick installation. Following the environmental guidelines set forth by The Clean Water Act Detroit Tarp’s water inflated dam system has minimal impact on the environment, whether it’s used in construction as a dam and dewatering solution, as a flood fighting structure or as a water storage system .As a flood fighting solution the system can easily be deployed without the need to bring in huge quantities of sand or other non-native material. Disturbance to surrounding areas is very minimal. 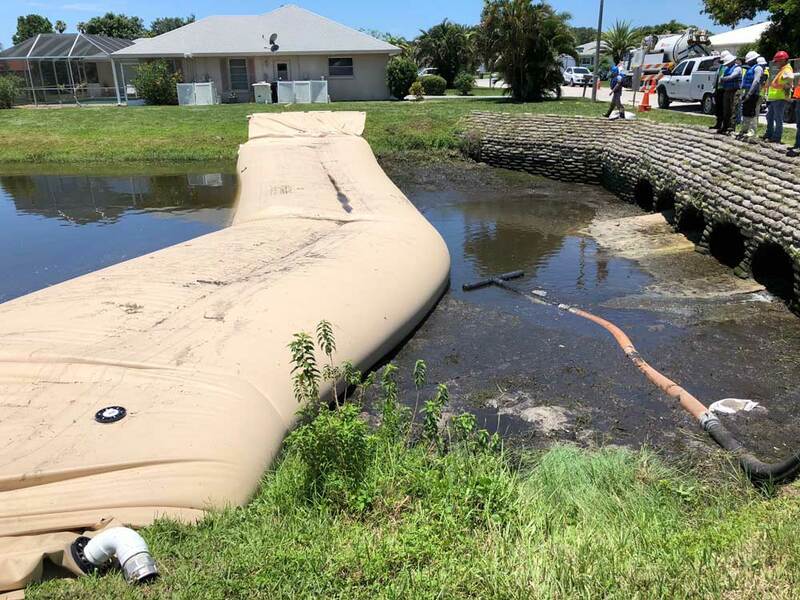 Removal of the system is complete with no residual material to be cleaned up and hauled out. 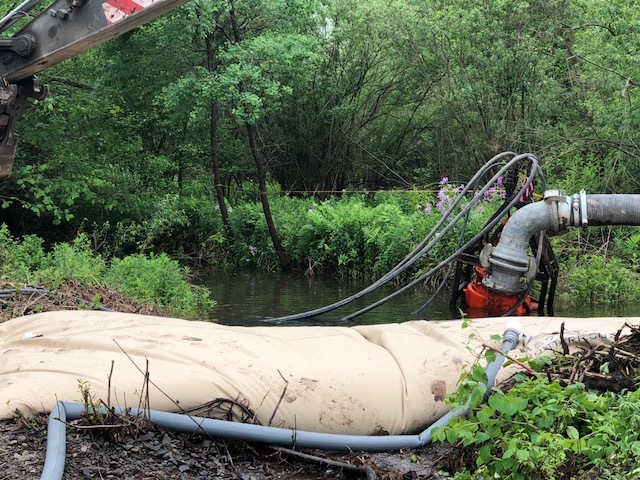 In construction cofferdam applications the system does not penetrate the subsurface and results in no long term issues unlike sheet piling where the bottom pile sections often break and are left behind in the waterway creating permanent faults in the river or streambed. 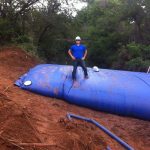 There are three types of Water Inflated Dam installations. 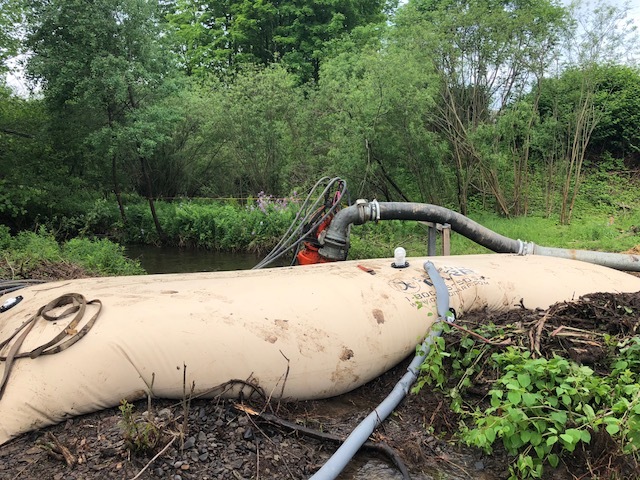 The following descriptions of the various types of cofferdam installations are simplified and only meant to give a general overview of the process. 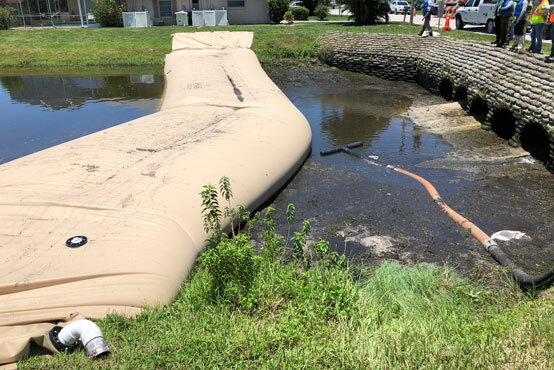 More detailed installation information must be provided by a trained Detroit Tarp Water Inflated Dam representative. 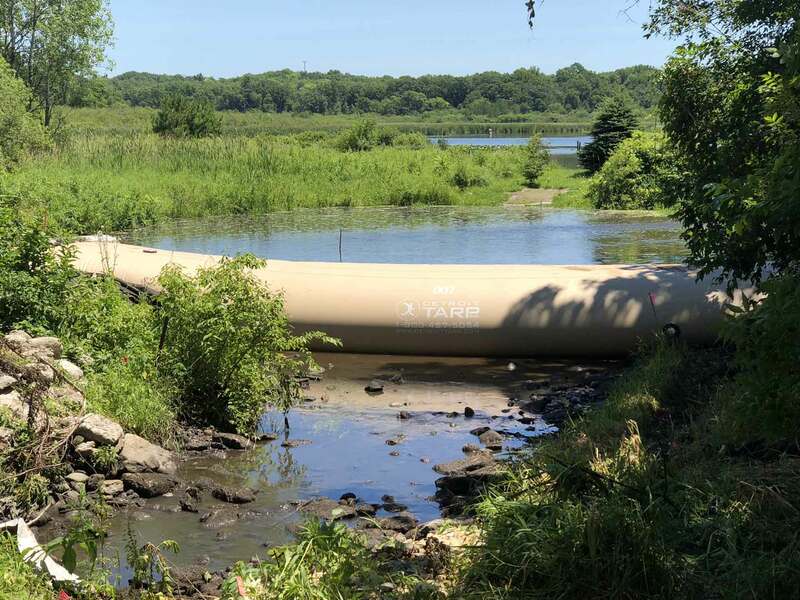 The location where the Water Inflated Dam is to be installed has no water present. 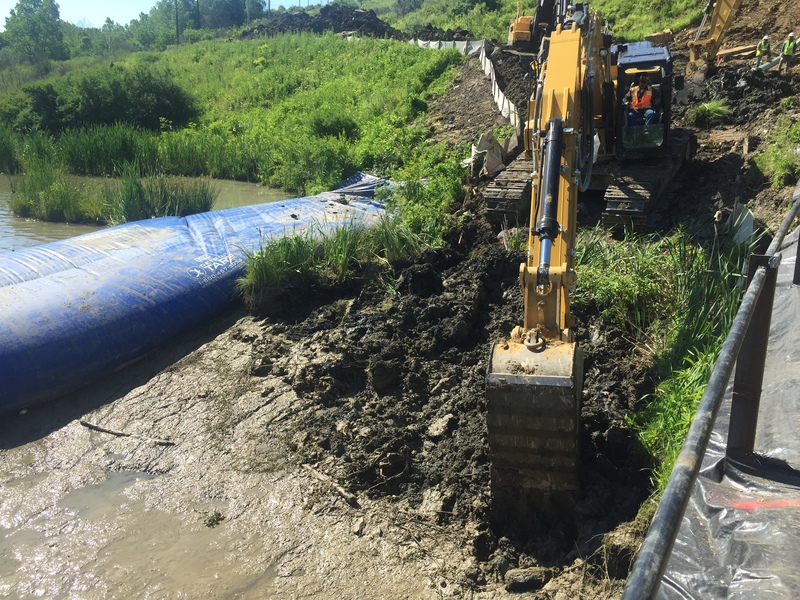 The cofferdams are unrolled and inflated. 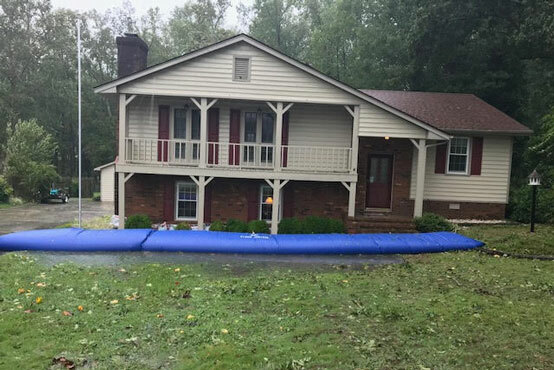 This style of installation is commonly used in flood prevention situations. The location where the Water Inflated Dam is to be installed has non-moving water present. The cofferdams are buoyant and float on the water’s surface. 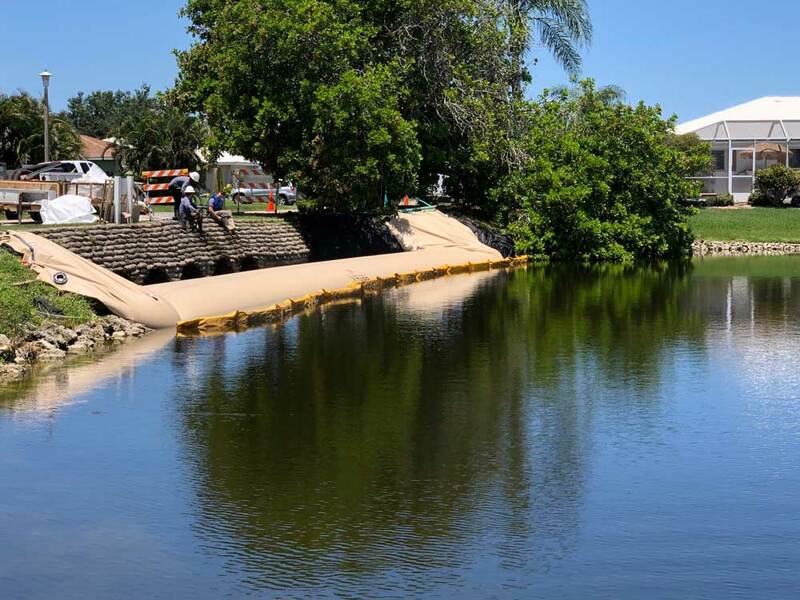 The dams are placed at the edge of the water and unrolled on the surface. The cofferdam is then floated into position. The location where the Water Inflated Dam is to be installed has dynamic or moving water present. 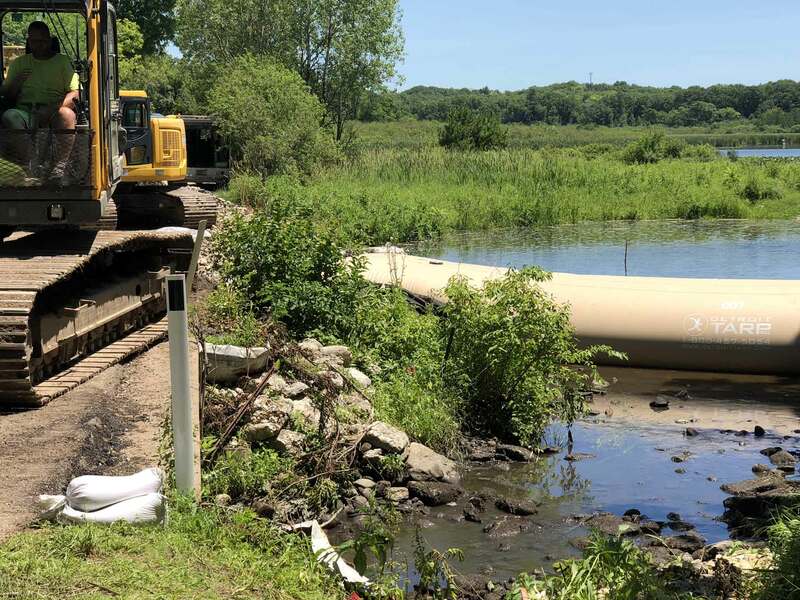 The cofferdams are positioned properly by controlling the ends of the system with hydraulic equipment (i.e., track hoe, crane) and/or securing or anchoring one end of the Water Inflated Dam at the shoreline.